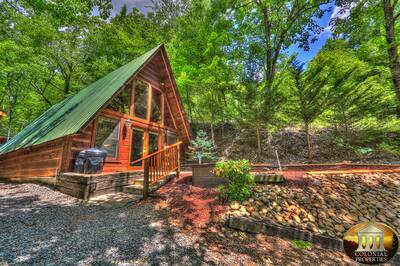 Welcome to Southern Comfort in the Smoky Mountains! 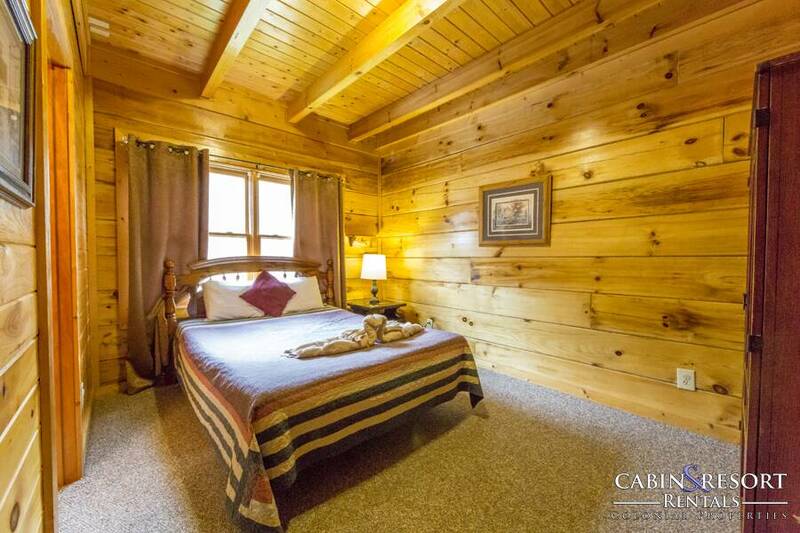 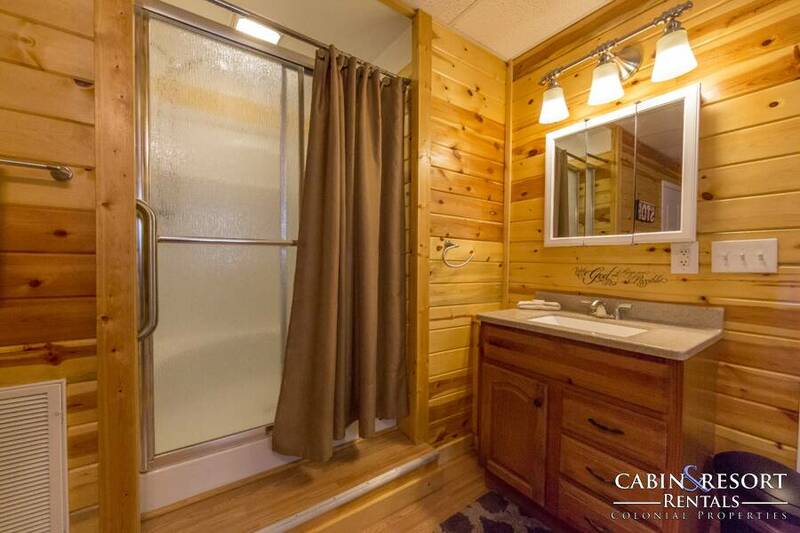 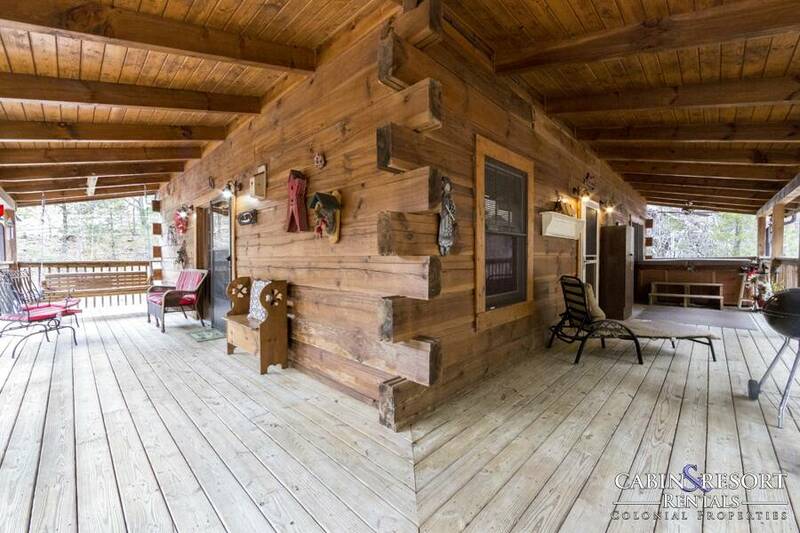 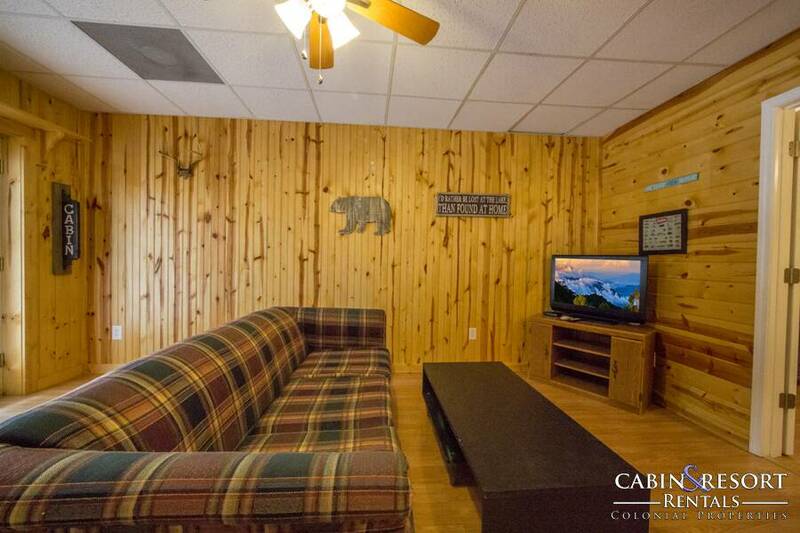 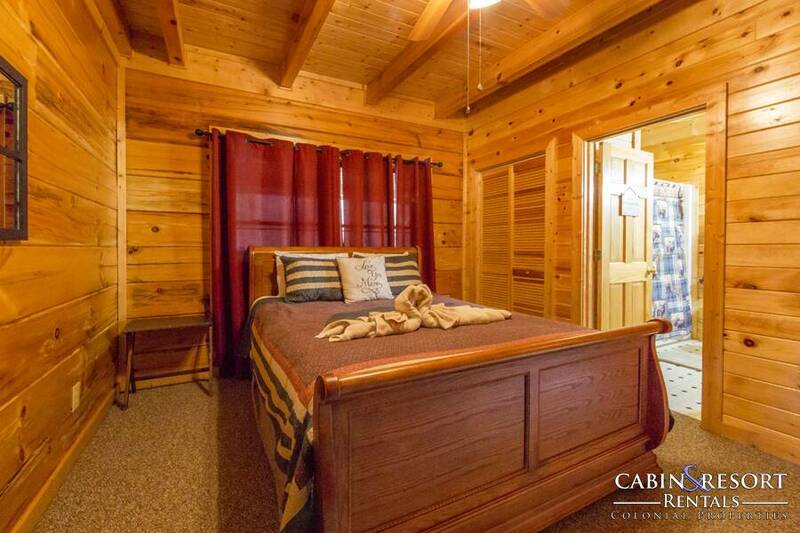 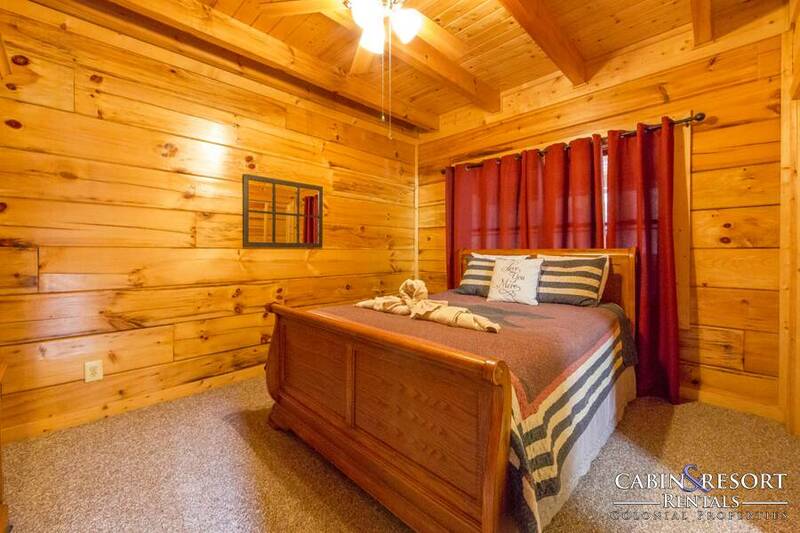 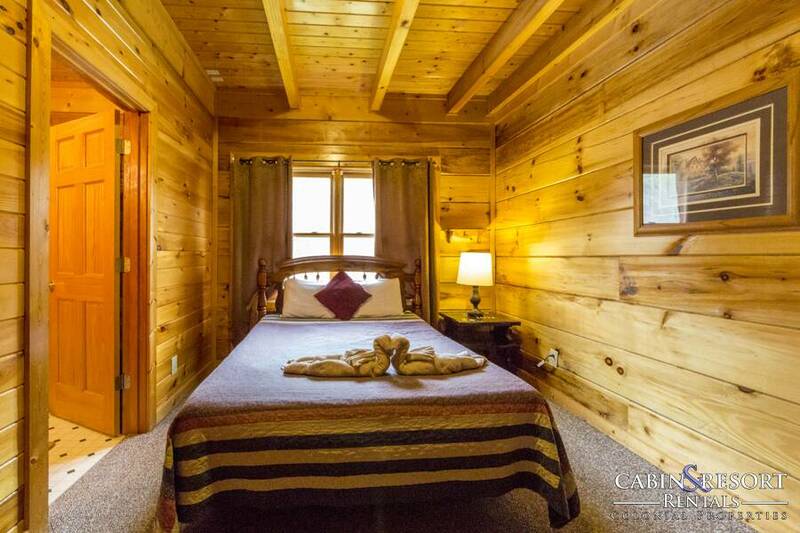 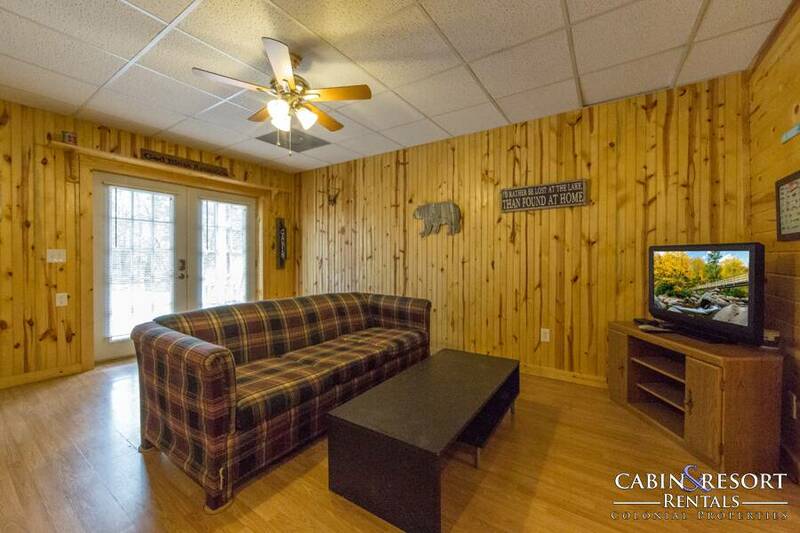 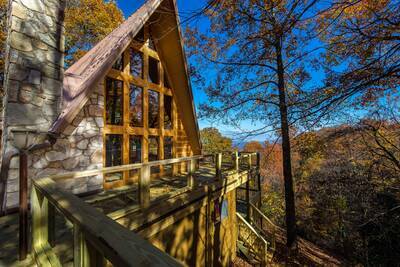 This spacious 3 bedroom, 3 bath cabin rental offers you and your special guests a totally relaxing vacation experience. 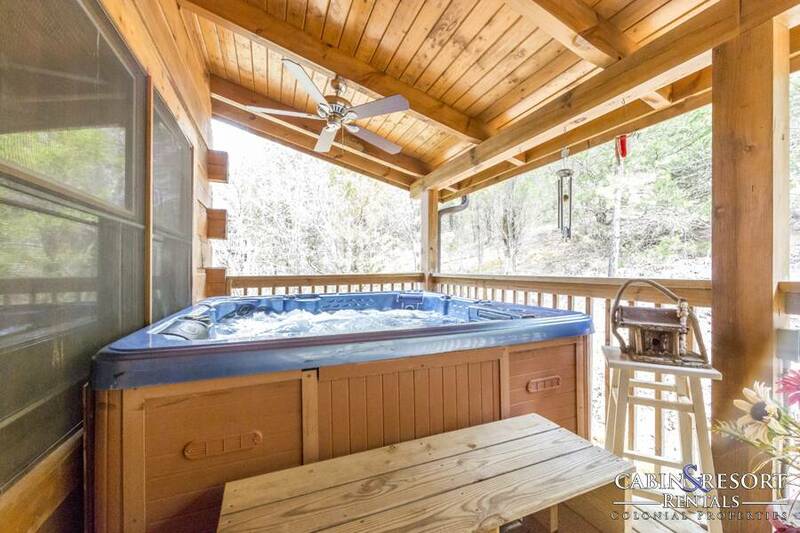 You’ll love relaxing on the huge wrap around covered deck that is complete with a bubbling hot tub for total comfort. 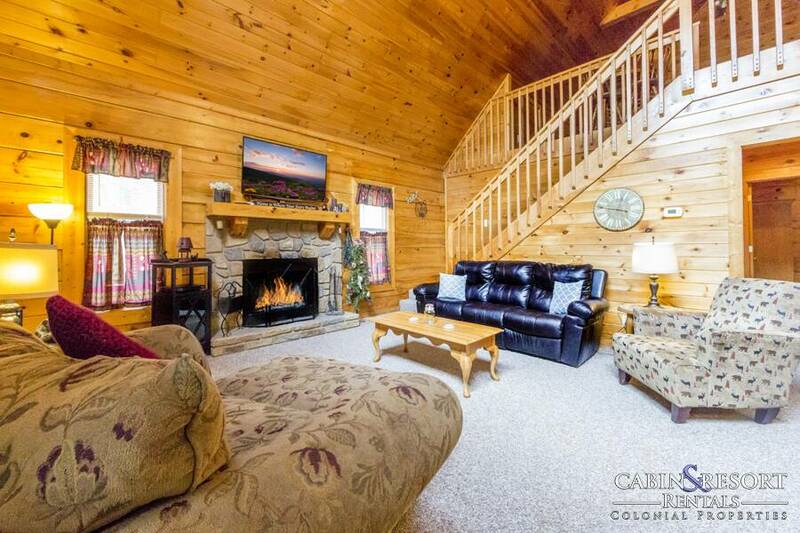 Step inside and you’ll enter the beautiful living room. 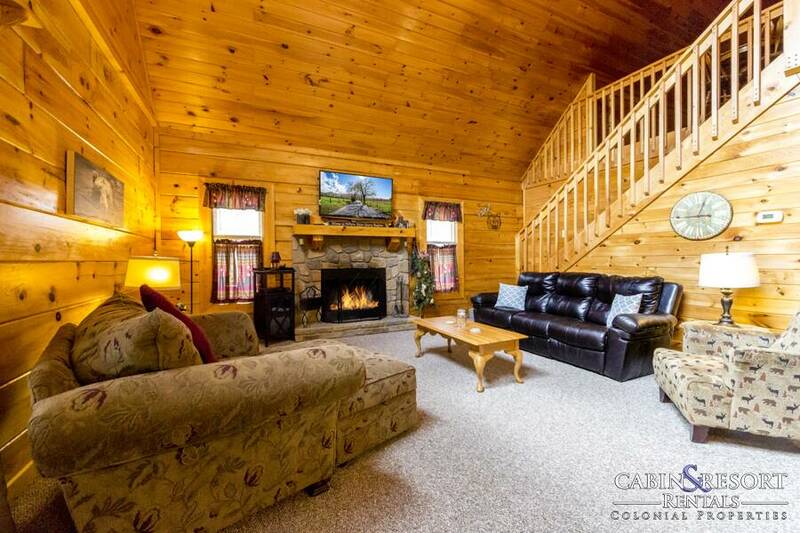 Here you’re treated to a soaring cathedral ceiling with natural wood accents, a wood burning fireplace, flat screen TV, comfortable seating, and deck access. 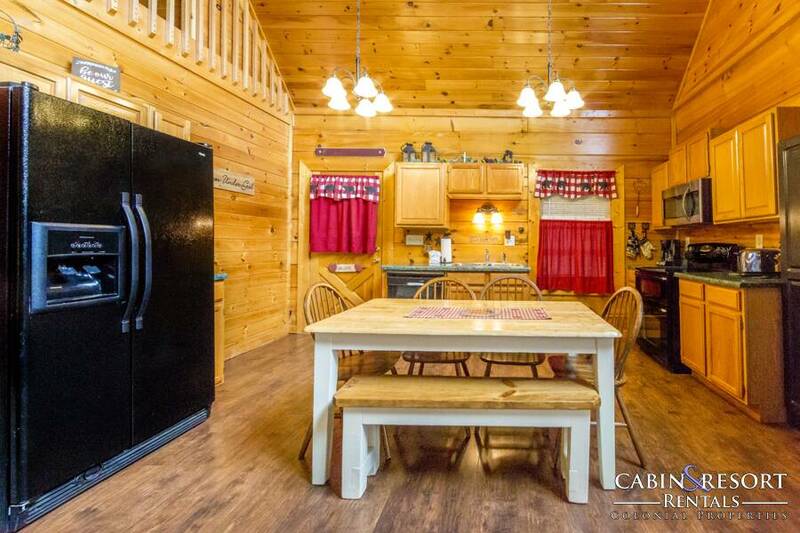 Located nearby is the fully equipped kitchen and dining area. 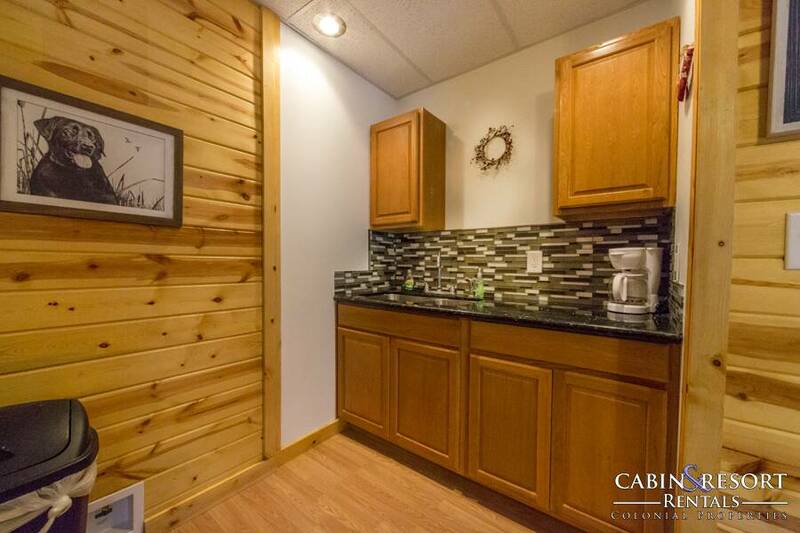 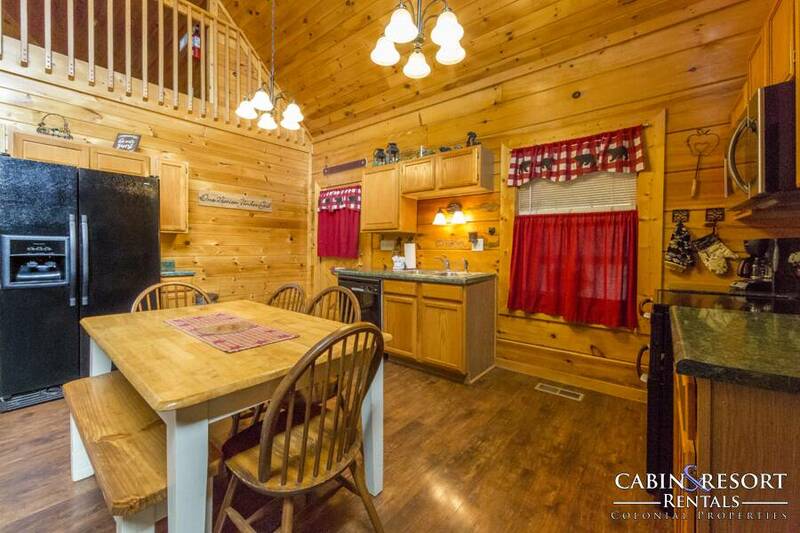 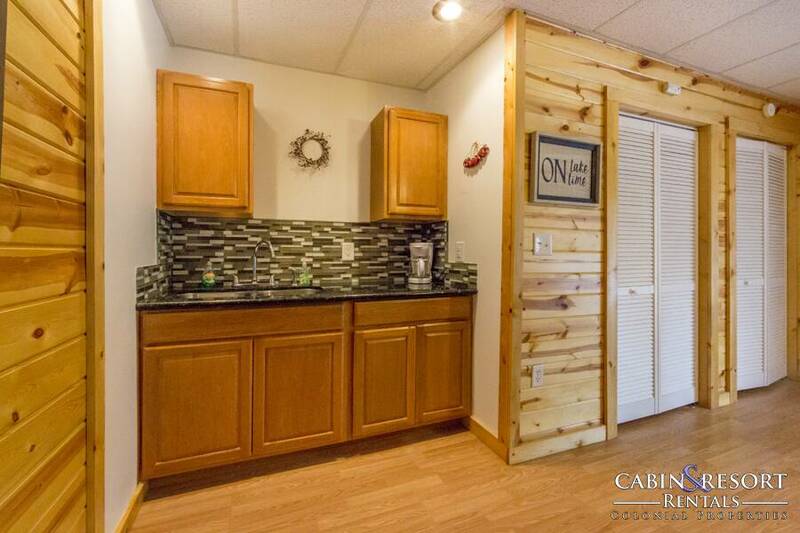 Here you can prepare, cook, and serve your favorite home cooked meals, all from the comforts of your Smoky Mountain cabin rental. 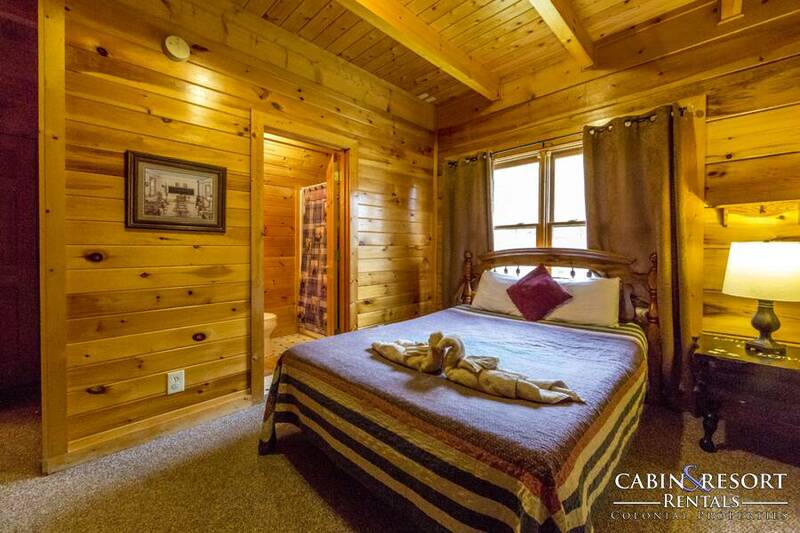 Located on the main level are two wonderful bedrooms, each with access to their own private en-suite full baths. 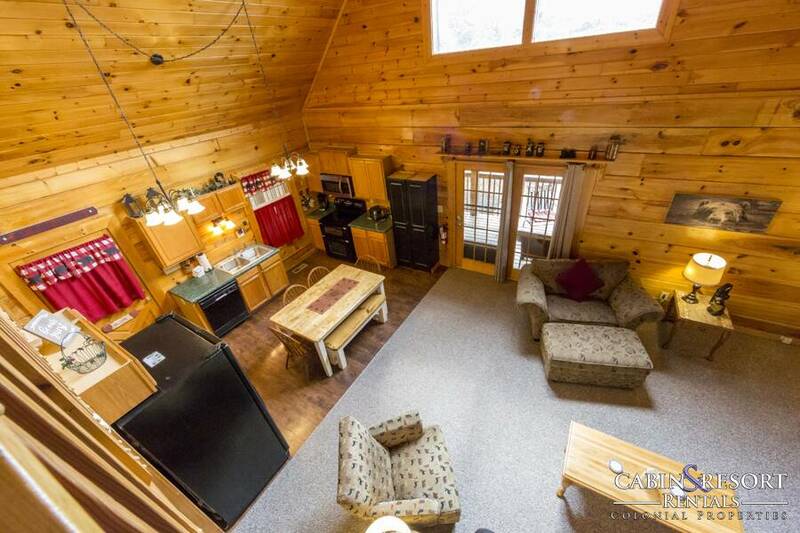 Venture up to the loft area at Southern Comfort and you’ll find an additional living area with a sleeper futon and a pub table. 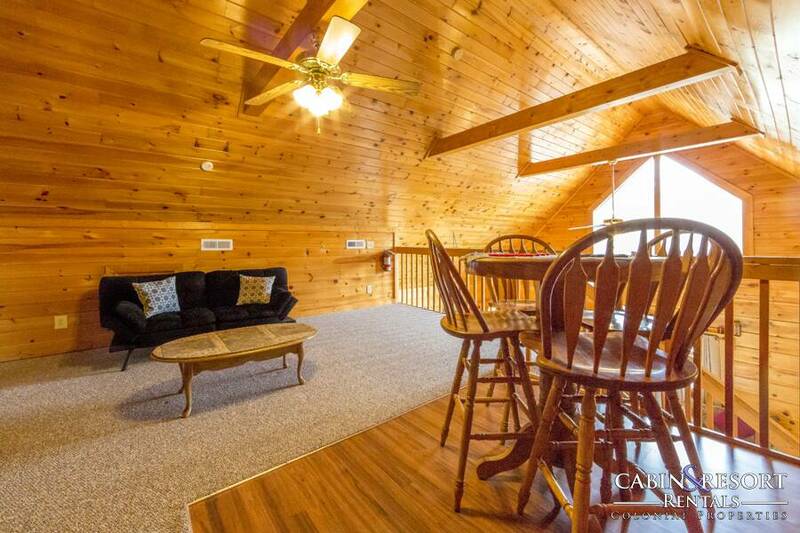 The loft area does have its own deck access for even more space to enjoy the outdoors. 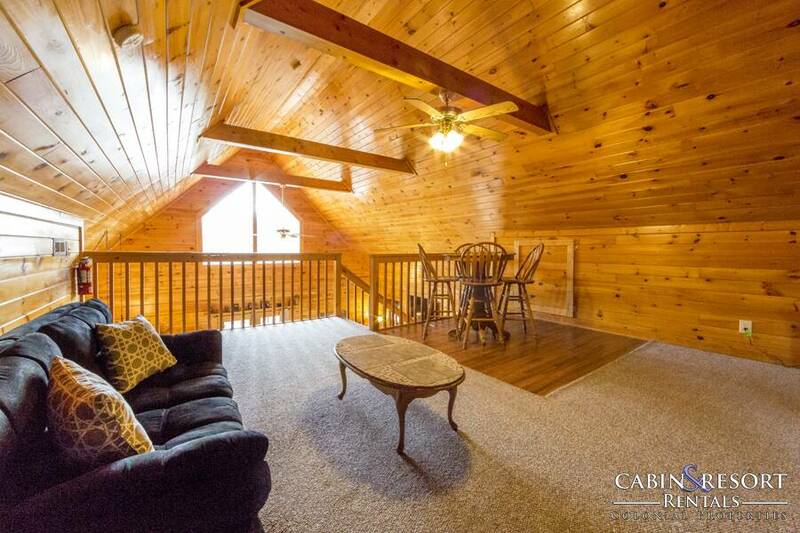 Separated from the main cabin, the lower level is an amazing suite all to itself. 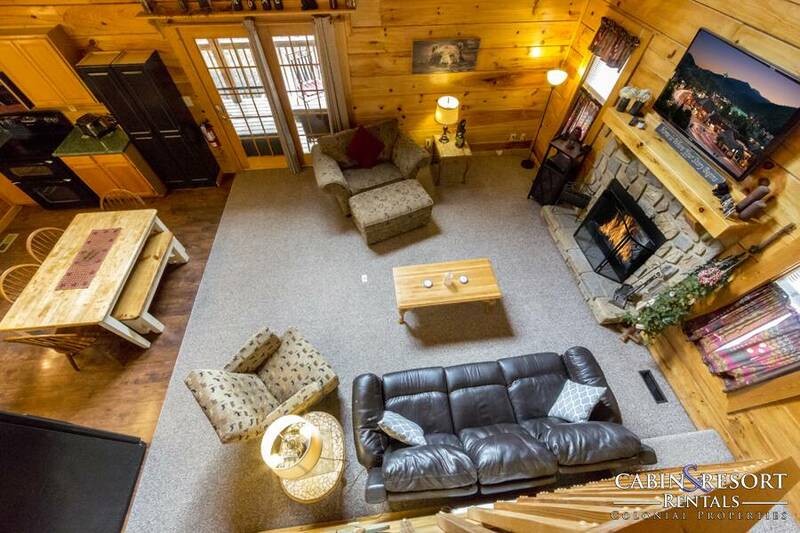 This area is perfect if you’re travelling with extended family, teenagers, or those looking for their own private space but still want to be near everyone else. 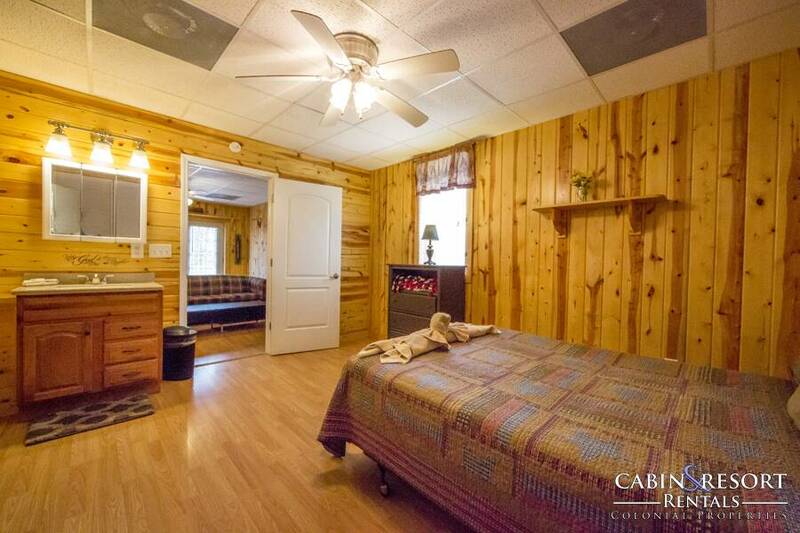 This level offers a living area with flat screen TV, private bedroom with a full bath including a walk-in shower, plus its very own wet bar. 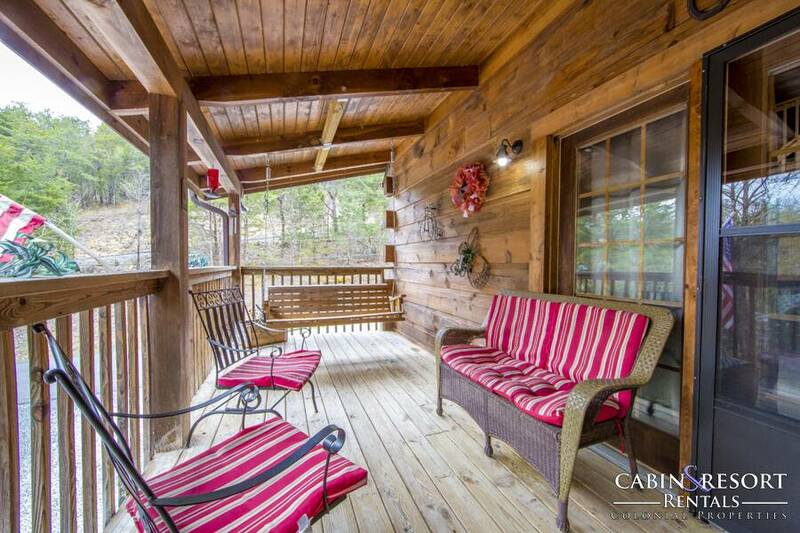 There’s also a covered patio located outside as well. 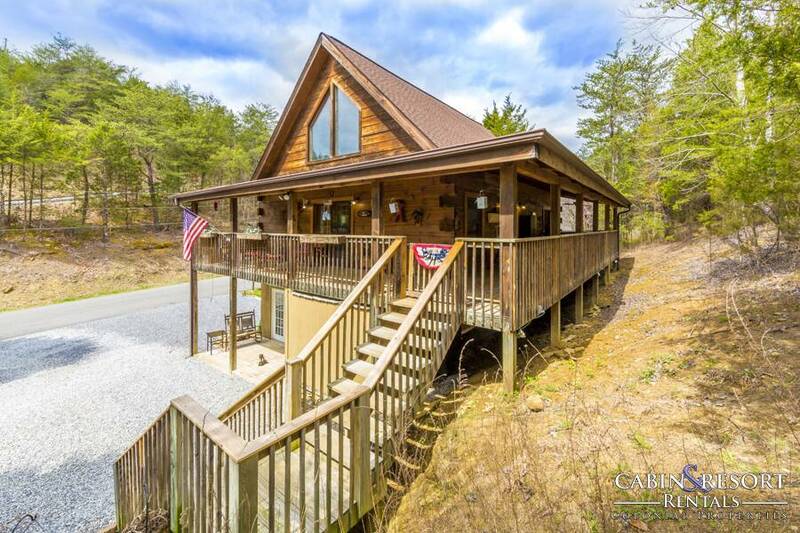 Southern Comfort is easily accessible with no steep roads to climb and offers ample parking plus a stream meandering through the yard. 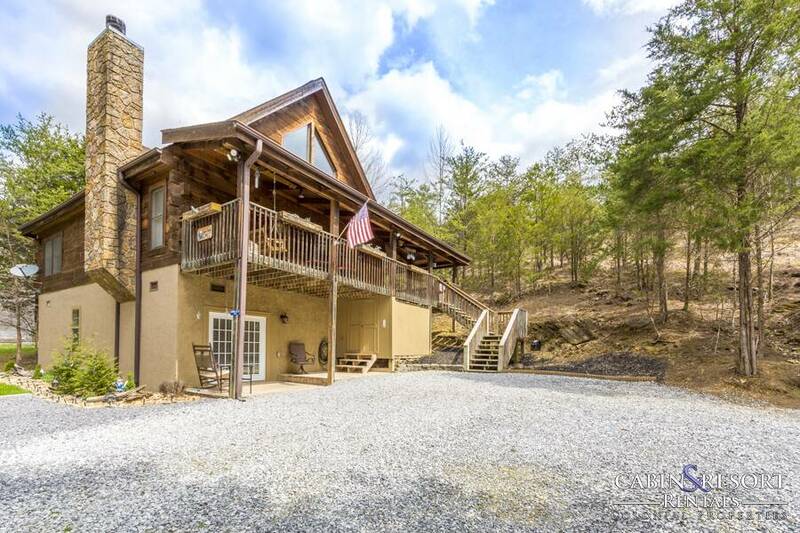 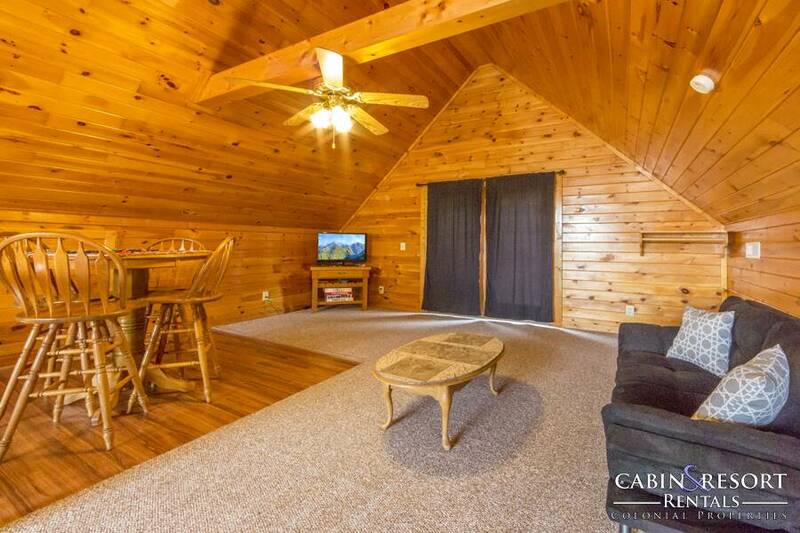 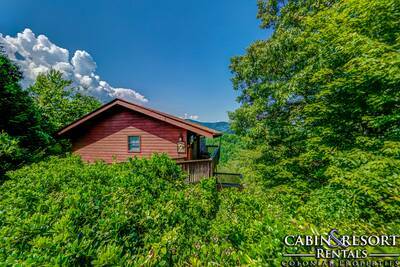 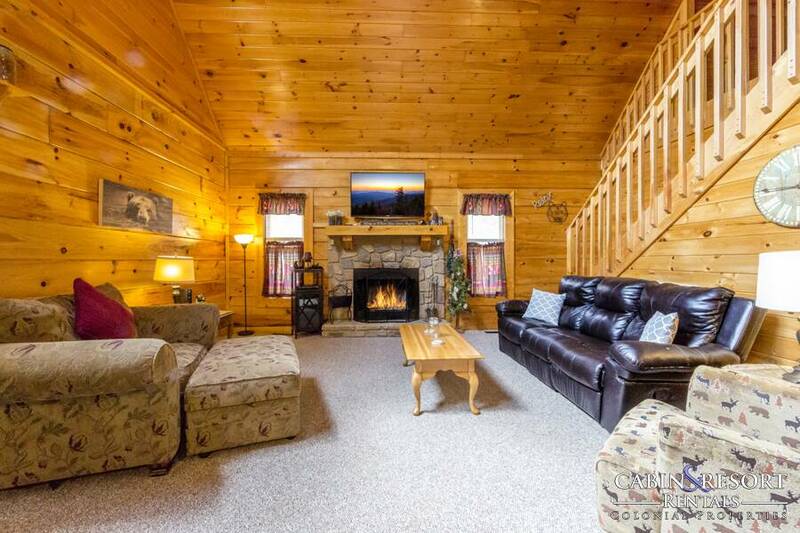 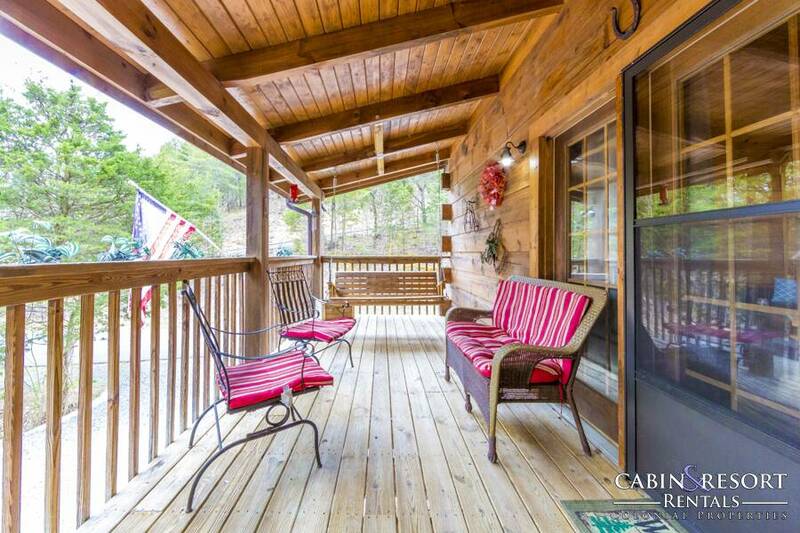 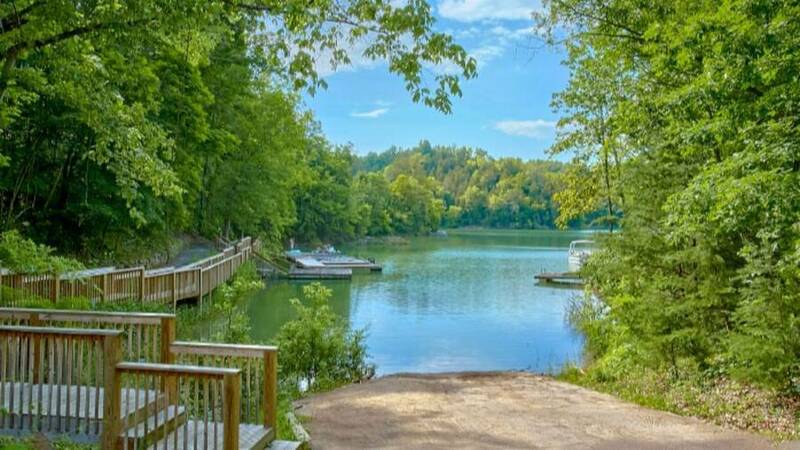 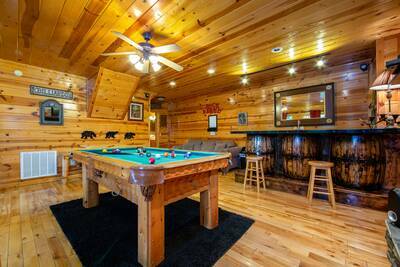 This beautiful Smoky Mountain cabin is located just minutes from Douglas Lake, named one of the best recreation and fishing lakes in Tennessee. 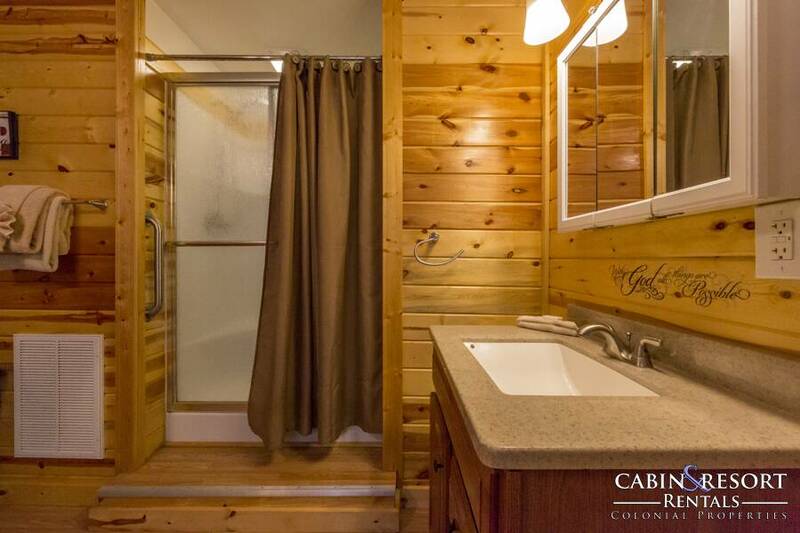 This cabin rental offers seasonal outdoor swimming and a children’s playground just a short drive away. 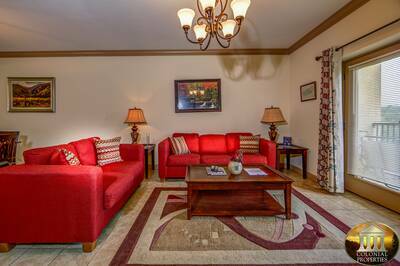 Southern Comfort offers you and your guests complimentary high speed WiFi internet, so be sure to pack along your laptop or tablet to enjoy it while vacationing here. 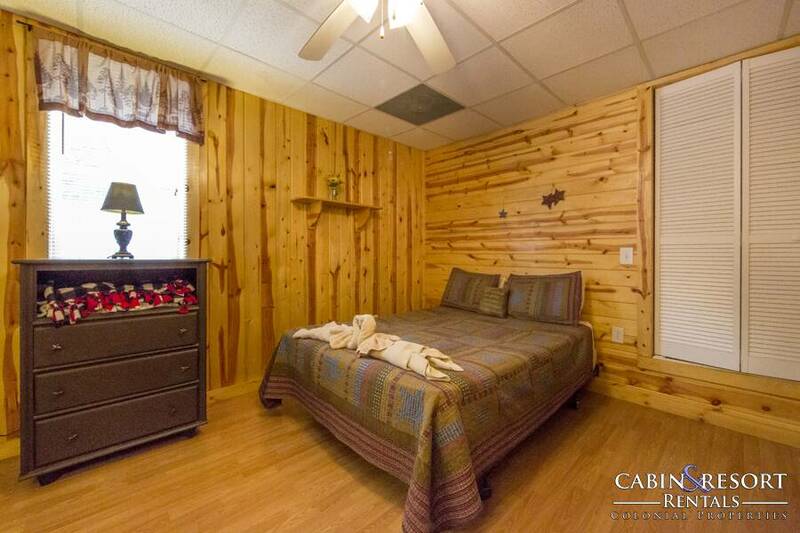 If you’re searching for a relaxing vacation destination, with great features and a spacious floor plan, then you’ll definitely want to reserve your stay here! 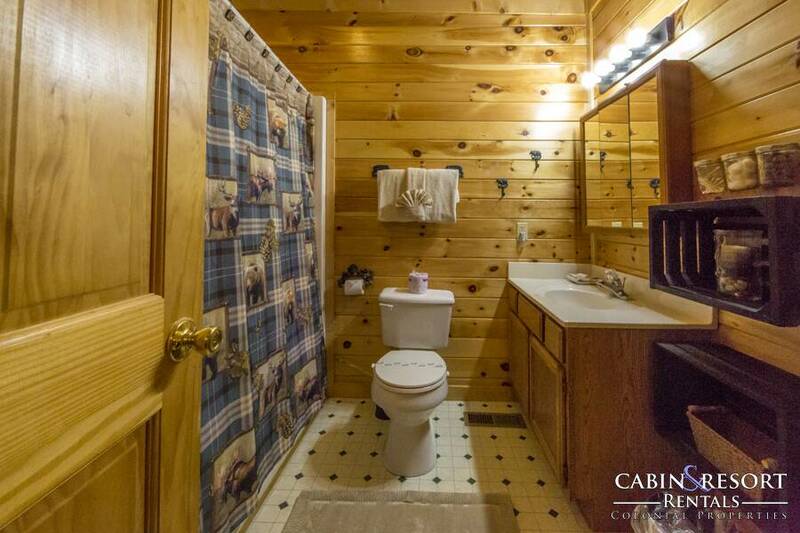 A: Hi Tony! 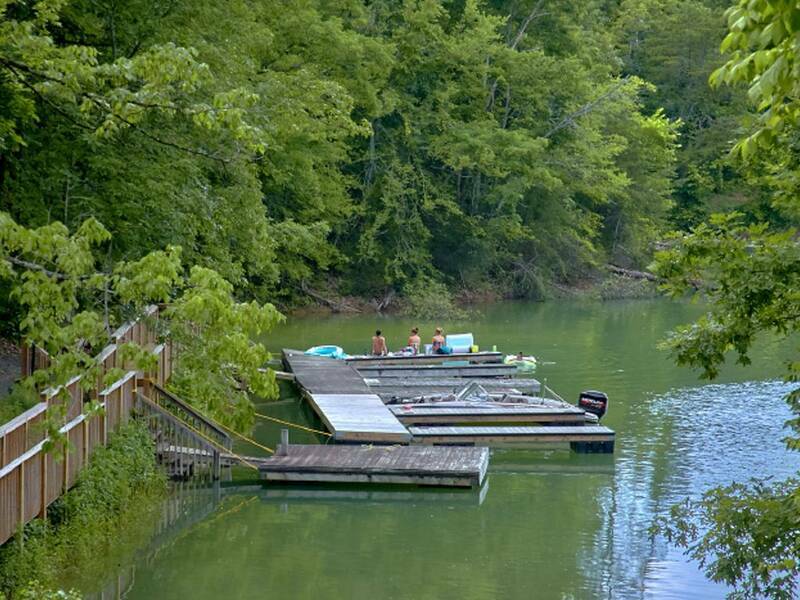 Southern Comfort is located within Douglas Lake Resort. 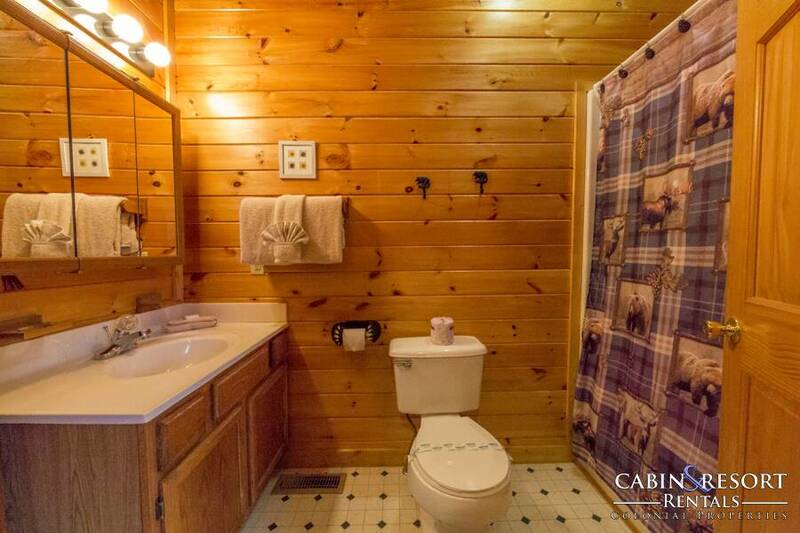 A: Hi Rusty! 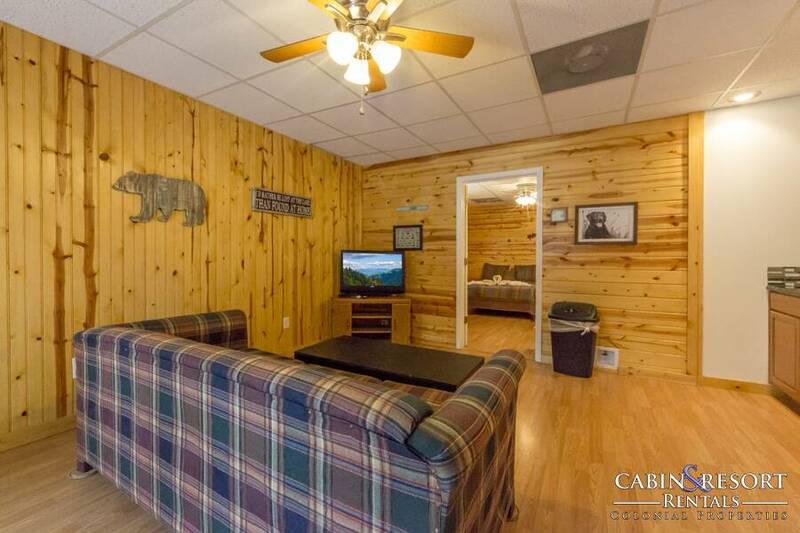 Southern Comfort is located approximately 20-25 minutes from Dollywood.